The Indian Super League has garnered a lot of attention, generated hype and created an air of excitement. 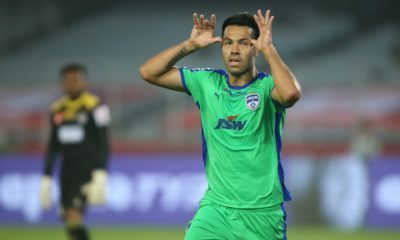 In this three part series Sami Faizullah lists down the Positives it brings to Indian Football, while also highlighting it’s Absurdity and raising questions about the Future. A ‘sleeping giant will wake’ is the common narrative; reputed publications are producing content, social media users are discussing, household names will be playing, and the media is finally giving it attention. 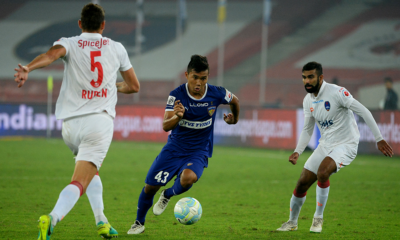 But as many join the Indian Super League bandwagon, and while it boasts of positives that the Indian nation has so far only dreamt of, the issues surrounding the sport are being simplified by most as others just ignore it. 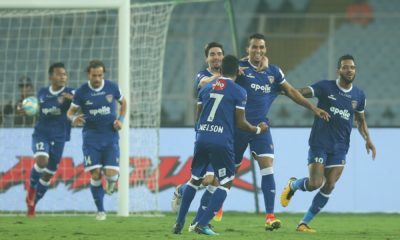 The Indian Super League has finally turned the footballing world’s attention to the sub-continent, a focus that many say has been decades in the making. If you’ve ever come across your average individual discussing Indian football, “how can a country of 1.2 billion people not produce a competent XI?” is a common argument. Football has never been that simple, but neither did it have to be this complex. Physical problems within citizens, to infrastructural deficiencies within the country and lack of financial investments have all been widely cited. But none of these hold true when for decades India has led the way in another sport, producing top class players, World Cup winning teams, and clubs franchises backed by almost questionable amounts of economic power. The Indian Super League has been promoted as the solution to football in the country, a potential challenge to the monopoly enjoyed by cricket and the next factor that puts India on the world map at a time where ‘superpower’ is the most popular term being used. This first part has a positive flavour to it, but this is probably as optimistic as it gets in this series. Football has always been popular in India; owing to the vast population, the pure number of individuals following the sport is large and has been for a good few decades. For years now, European clubs with commercial objectives have seen the Indian sub-continent as a potentially fruitful market for exactly this reason, and an important sector for it’s off-the-pitch needs. But despite this, India is stated to be arguably the largest un-penetrated footballing region. Yes, the sport has always been popular, but while you’ll find dozens who can sing You’ll Never Walk Alone, others who can predict the next best La Masia graduate and many who can reminisce in the past glories of Italian football, the comparative percentage who can tell you the domestic Indian champions two seasons back is embarrassingly low. Indians in general have largely never been interested in Indian football, any more than they have for most other sports, the reasons for which are discussions for another day. But now, Indian football is finally the focus of all in the country, a welcome change. From TV ads to social media discussions, Indians are aware of the sport and it’s happenings. And among the plethora of issues that have plagued the sport, popularity ranked pretty high in the list; though not one that needed to be prioritised. But when Bayern’s latest game, Sachin Tendulkar and Indian Super League are spoken in the same breath, you know something’s going right. India in general (besides Indian football) also faces a weird sort of problem financially in society. While it features in eighth position in a list of the most number of millionaires, it also tops the list of the poorest countries with a third of the world’s poor residing side-by-side with those 14,800 millionaires. 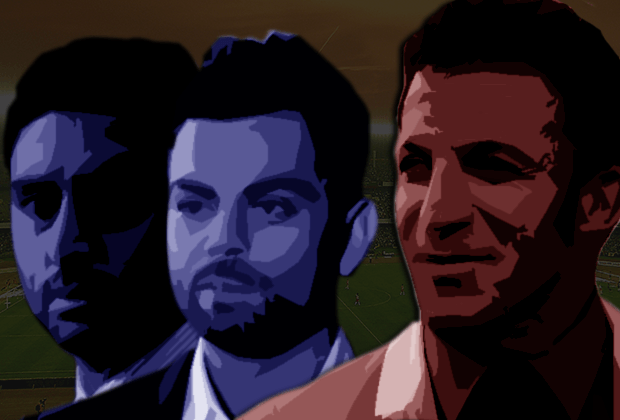 These same issues plague the sport as well, while successful cricketers grow into perpetually financially secure individuals (so much so that they can own football franchises in the Indian Super Leagues), successful footballers struggle to make ends meet and are forgotten into nothingness until an online blog runs a series on obscure forgotten sports personalities. Such is the state. But for once, the financially secure of India is meeting the apparently backward sport of football. From well established businessmen, to cricketing legends and Bollywood celebrities, all have decided to have a piece of the Indian Super League. While the likes of Alessandro Del Piero, Robert Pires & Freddie Ljunberg may be past their glory days, they’d still seek a lucrative pay-check for their last hurrah before retirement (or a post-retirement pension in the case of some). To have convinced these ex-World Cup winners & domestic European league champions to ply their last and/or penultimate trade in India would certainly have burnt a large hole in the owners’ pockets. Certainly overdue, but finally accomplished. The league that now looks financially bursting, has also managed to pull top sponsors which again was never seen before in the sport. The biggest win was securing a media partner to broadcast all games on national television, while established kit manufacturers were thus far largely alien. 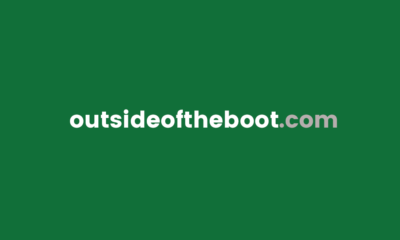 Something as simple as a fully functional & responsive website have also shown how a little bit of dough can make a change, while a solid Social Media campaign for the league and each team have further captured the attention of the general population. Advertisements both on television and the digital world have further established the league in the minds of individuals, as billboard space across the country are also now affordable for those running the sport. One major issue dampening the progress of football in the country thus far has been the horrendous infrastructural issues. Surfaces have been far from playable, training grounds don’t exist, academies don’t have the right space or equipment to develop and most grounds would largely fail FIFA’s standard requirements. With the attention drawn to the ISL, and the foreign influx of players who have experienced some of the best stadiums & conditions has acted as a natural catalyst to finally make some head-way in this area of the sport. It remains to be seen just to what level infrastructural improvements have been made, but the organisers will undoubtedly be working round the clock to ensure at least minimum standards are maintained, and incidents like the Del Piero press conference one are avoided. On the tactical front, Indian football is as backward as you’d imagine. The 4-4-2 and hopeful lobs up-the-field are still the generic template, introduction of a passing system has seen little success, and it’s not often that you experience breath-taking football for the entire 90 with lethargic individuals by the 70th minute mark a common sight. These are factors that need to be improved on to ensure maximum entertainment value and viewer satisfaction. This obsession with being entertained among Indian viewers is what has led to the popularity of the shorter T20 cricket format over the traditional test match system. Viewers are unlikely to be appreciative of defensive approaches, slower transitions, and teams seeing out 1-0 leads. Despite each game being only for 1 and a half hours, much lesser than even your average T20 cricket encounter, viewers want to be blown away for the entire duration. The role of coaches here proves pivotal, and ultimately why it’s important that experienced men have been appointed at the helm. Though the actual benefits will be reaped only when domestic staff take up the reigns (more on that in the latter parts of this mini-series), what the likes of Zico, Peter Reid & Ricki Herbert implement at their teams can go on to define the way the sport is played in the country. The experience they bring, and the methodology they set in right from training routines to match day approaches can bring the change the sport needs. The importance of those in charge is far more crucial (though unspectacular) to the high profile names who will feature in match day XIs. 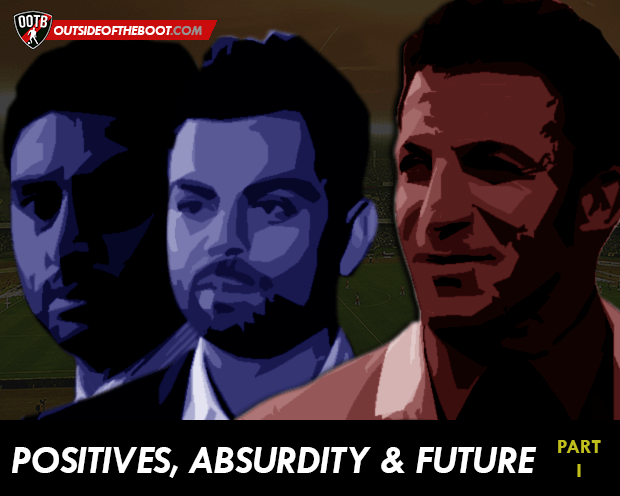 The positives are there for all to see, some may say to think having Del Piero, Anelka, Zico and company in an untapped market as a negative is beyond absurd. But absurdity is something riding in Indian football at this point of time, eclipsed at the moment with all the Indian Super League hype. Yes, there are positives, but this has only raised further questions that remain worryingly unanswered. We’ll dwell into this in the subsequent parts, but the positivity of the series ends in Part I, replaced my pessimism and skepticism. Stay tuned.